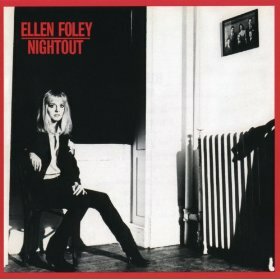 Ellen Foley, who traded vocals with Meat Loaf on portions of his blockbuster debut, should make at least a bit of a splash with her own first record. Characterized by grandiose arrangements, a wall-of-sound production, and lots of hooks, the package radiates pesonality and sexuality and strikes me as a 70s version of groups like the Ronettes and the Shangri-Las. Granted, Foley had considerable help here. Ian Hunter and Mick Ronson, for example, produced and arranged the music and played an assortment of instruments throughout. Moreover, Foley coauthored only one cut in the excellent program, which taps such writers as Graham Parker (“Thunder and Rain”), Mick Jagger and Keith Richard (“Stupid GIrl”), and Hunter (“Don’t Let Go”). But it doesn’t take long to appreciate the size of the singer’s own contributions. Just listen once to a tune like “Young Lust,” where Foley winningly combines theatrics and musicality, and you may join me iin wondering whether Meat Loaf has unleashed more competition than he bargained for.